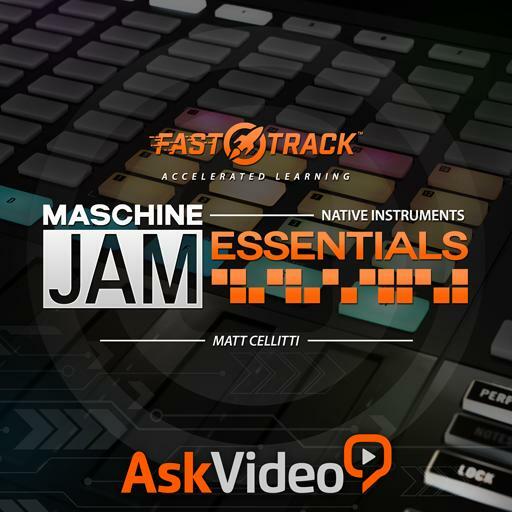 Maschine Jam FastTrack 101 - Jam Essentials. To access the different Lock snapshots, you must push? How do you bring up the Variation options? True or False: Maschine Jam can control Logic via the Mackie Control standard. True or false? In order to record the “strums” just like you play them, what function must be turned off? Maschine’s Piano Roll Mode can constrain the notes to a specific scale. True or false? How can you assign a color to a Scene? What color is the Root note in Keyboard Mode? How do you stop clips from playing in Ableton? How can you switch to an accented velocity while step programming? There is only one way to control the Performance FX parameters. True or false?